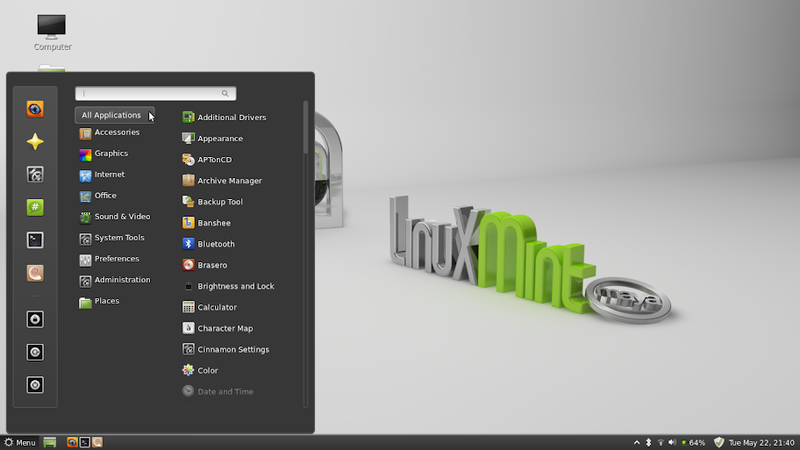 Linux Mint 13 is out! The Linux Mint team as finally released Linux Mint 13 named “Maya”. I will probably be switching back to Linux Mint after using Ubuntu 12.04 for a while. I've been encountering some bugs in Ubuntu that annoyed me a lot. For instance, I can't use my uni's WPA2-PEAP connection, Totem sometimes freeze when playing videos and something when I close my laptop lid the screen will not turn back on. I can;t wait to try out Linux mint 13 using Cinnamon. Check here for full details and download links.